University Workers in Toronto Fight Back! 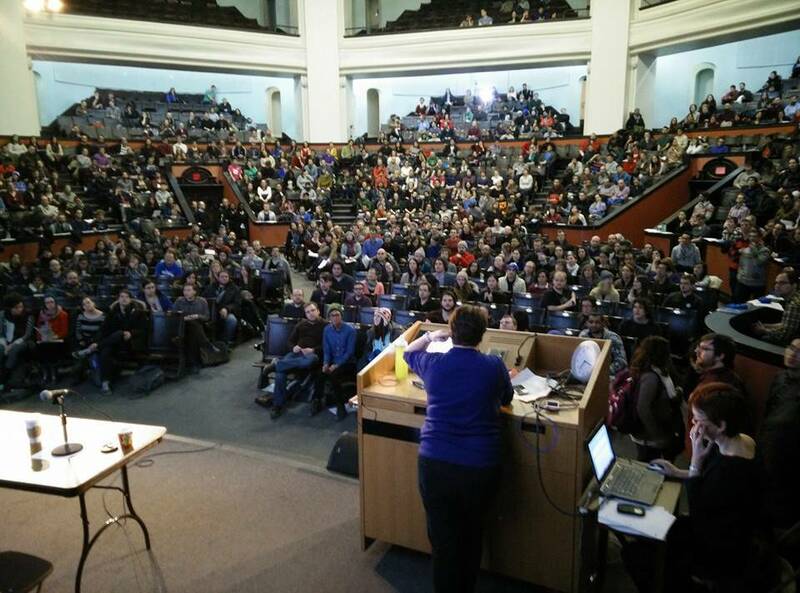 Hundreds of members of CUPE 3902 meet in Convocation Hall at the University of Toronto, just before voting 98% to reject their Employer’s final offer. Strikes for social justice have taken hold of Canada’s two largest universities. 6,000 members of Local 3902 (unit 1) of the Canadian Union of Public Employees (CUPE) are on legal strike against their employer, the University of Toronto (U of T). “We are poor, precarious, and need improvement in our standard of living,” Union Chair Erin Black said after her members overwhelmingly rejected U of T management’s terms at the end of February. The 3,700 members of CUPE Local 3903 hit the bricks on March 3, taking on their bosses at York University. At a special membership meeting held a day earlier, members voted 71 per cent to reject the university’s last offer and to commence strike action. They want protection against tuition hikes and an end to precarious, one year at a time, teaching contracts.